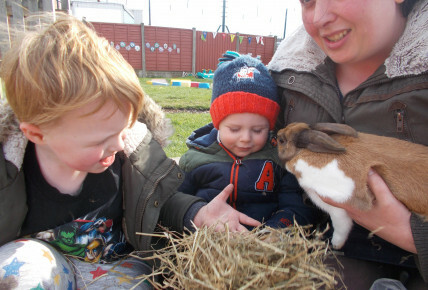 The children at Busy Bees Warton are really involved in taking care of the Nursery Rabbit and our fish. 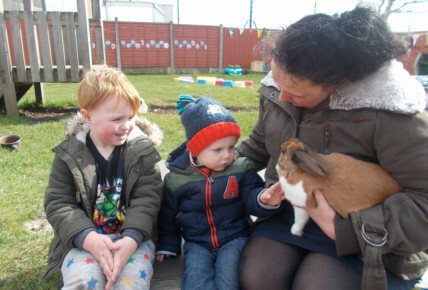 Our rabbit is always popular but even more so around Easter time when she delivers chocolate to our nursery. 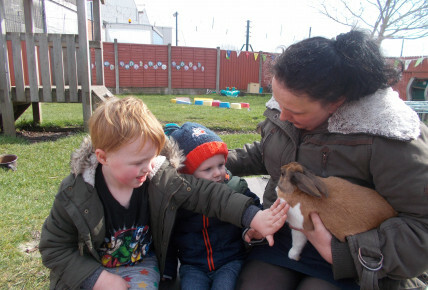 The children have been involved in feeding and grooming the rabbit under the careful supervision of Naomi the nursery manager who say "pets in nursery are a great way to teach children about caring for each other and how to treat living things with respect"